BT has declared that it now has more than two million Wi-Fi hotspots in the UK, a major landmark for the communications giant. BT's hotspots have been boosted by some cunning strategies by the company - and its keen to keep building as the public clamours to be online throughout their everyday lives. The hotspots now include Charing Cross tube station – one of nearly 800,000 hotspots added in the past six months. "Demand for wireless access is growing at a record rate, we've have added more than 780,000 hotspots in the last six months and will continue to meet the demand as more and more smartphone, laptop, tablet, iPod and ebook reader users choose Wi-Fi to stay connected when they are out and about," said Gavin Patterson, chief executive officer, BT Retail. "What's more our BT Total Broadband customers have free and unlimited access to the largest Wi-Fi network in the UK included in their broadband package." 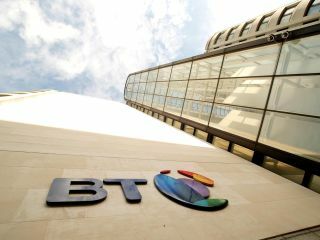 BT's offering is offered by many major chains, including Hilton, Thistle, Ramada Jarvis and Macdonald hotel chains, Caffe Nero and Starbucks coffee stores, Welcome Break and RoadChef Costa service stations, British Airways, Star Alliance, American Airlines and SkyTeam airport lounges.